The Designer Executive Chair of the modern CEO's dreams has arrived. 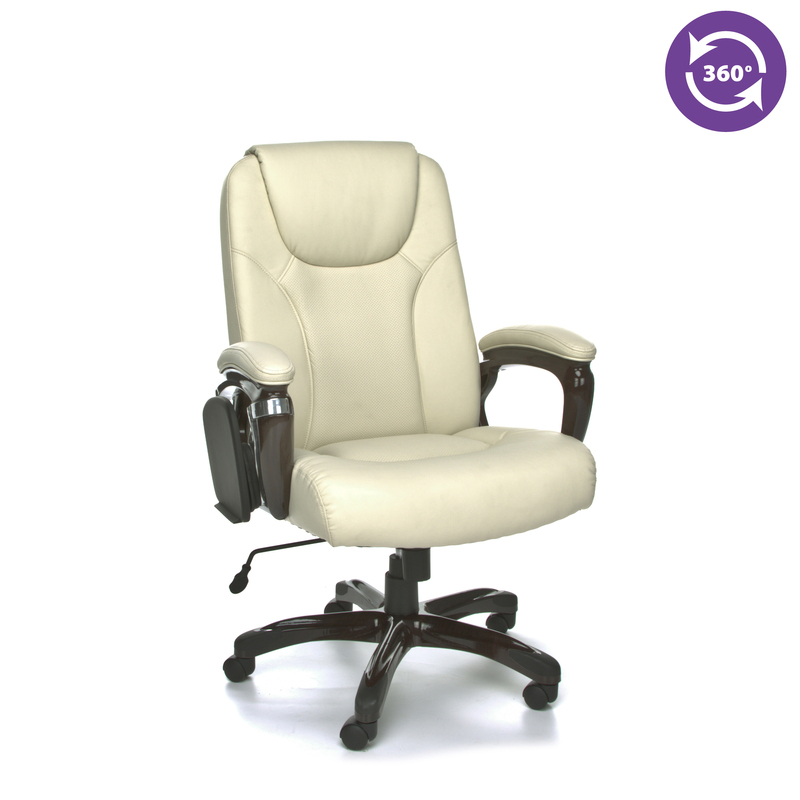 Magnificent detailing and ergonomic features make this the perfect chair for any high-class business. A wood-grain finish on the arms and base complements chic upholstery choices and matching padded arms for a seamless integration of natural elegance. 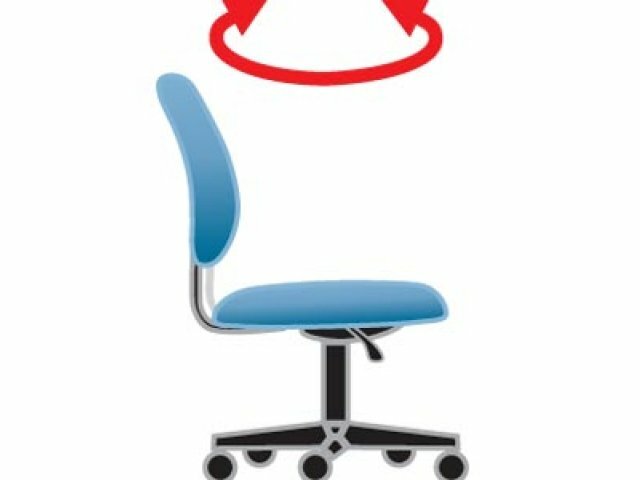 The ORO task chair brings contemporary comfort to your work environment. 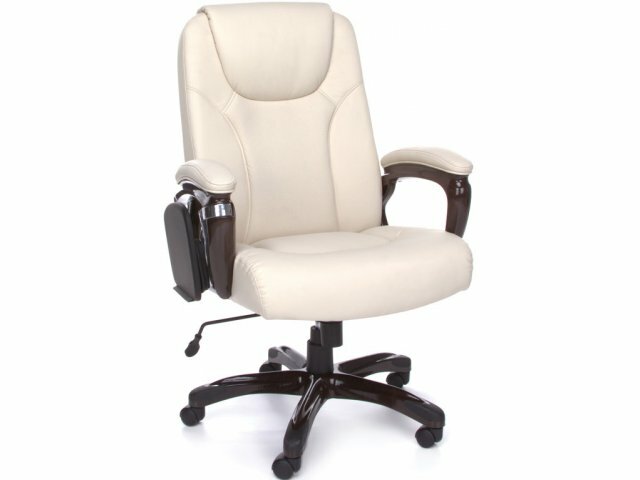 This high-back office chair features pneumatic seat-height adjustment for proper positioning. A tuck-away tablet arm lets you work on a tablet or E-reader comfortably without being confined to an office desk. 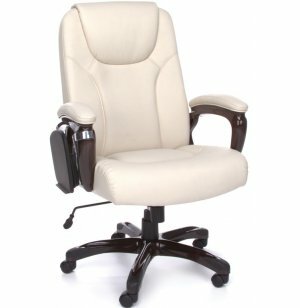 With exceptional flexibility and style, this multi-task executive chair is perfect for conference rooms, personal offices and training rooms. Super Convenient: An adjustable-position tuck-away tablet with slip-resistant coating provides an accessible writing surface. Total Support: Padded arms and a high back provide full-body comfort. Affordable Luxury: Polyurethane upholstery offers the visual appeal of leather at a budget-friendly price. Complementary Accents: A wood film on the arms and base looks like natural wood to complement upholstery beautifully. Healthy Ventilation: The middle insert is perforated for airflow to prevent overheating. 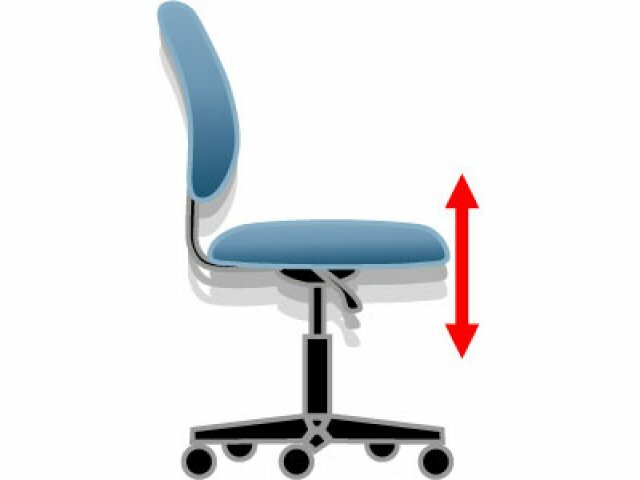 Ergonomic Adjustment: Pneumatic seat-height adjustment facilitates proper positioning with feet resting flat on the floor.